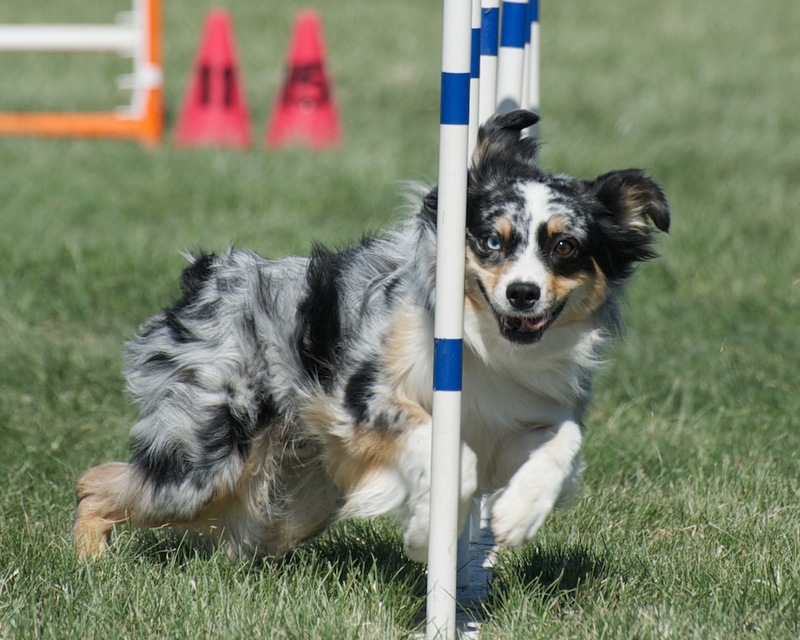 I started agility with a shy little boy who was afraid of everything…judges with floppy hats, kids near the ring, a breeze that blew from the wrong direction at the wrong time. Success running Duncan meant keeping him happy, never showing disappointment to a boy who tried his best for ME, despite all the worries in his mind. Learning to respect his weird little quirks took time, but once I accepted the good, shrugged off the bad and stopped asking for perfection, running him became a complete joy. And yes, I know those weaves weren’t quite right…but who am I to discourage antics with enthusiasm? Fast forward a few years, to Dunc’s little brother, Desmond, a completely different beast with an entirely different yardstick of success. The DesMonster wouldn’t care if the judge was waving his floppy hat while driving a Zamboni, he’s out there to play with ME and the agility toys. My challenge is to never take those gifts of enthusiasm and freakish love of running with me for granted. I like competition, and love that we can compete against ourselves and our own goals. Some of those goals include qualifying for certain events in the next year, and that meant laying down some consistent, Q/point gathering runs. We don’t have a ton of trials, so we don’t have a lot of wiggle room for mistakes. 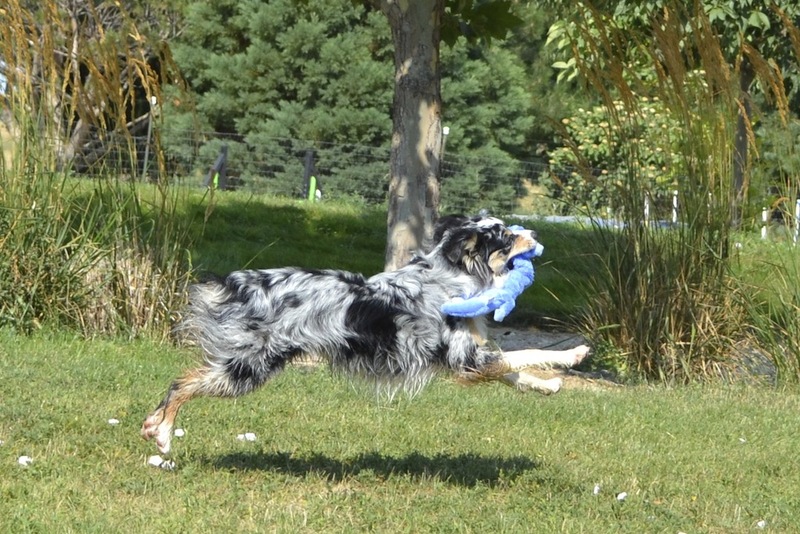 I began to second guess my handling choices that put a lot of trust in my boy, even though he’d earned the right to run that way. I felt old habits try and sneak back in; of choosing the safer handling path, maybe not necessarily the right path, just to get through clean. And I felt disappointment and negativity creep into my thoughts after nailing down 19 tough obstacles, just because I’d mishandled and we’d dropped one single bar. I watched my boy’s ears droop when I was disappointed in myself and he saw my shoulders slump after a run. What the heck was I doing?!? I’d learned the hard way this didn’t work for Dunc, it certainly wasn’t okay for Des, either. We have time. We’re both still learning. And I want to enjoy each run on this adventure. So what does success feel like? The completely cool part of this sport is that it can be something different for everyone. I have no business defining success for any other agility freakazoid but myself. 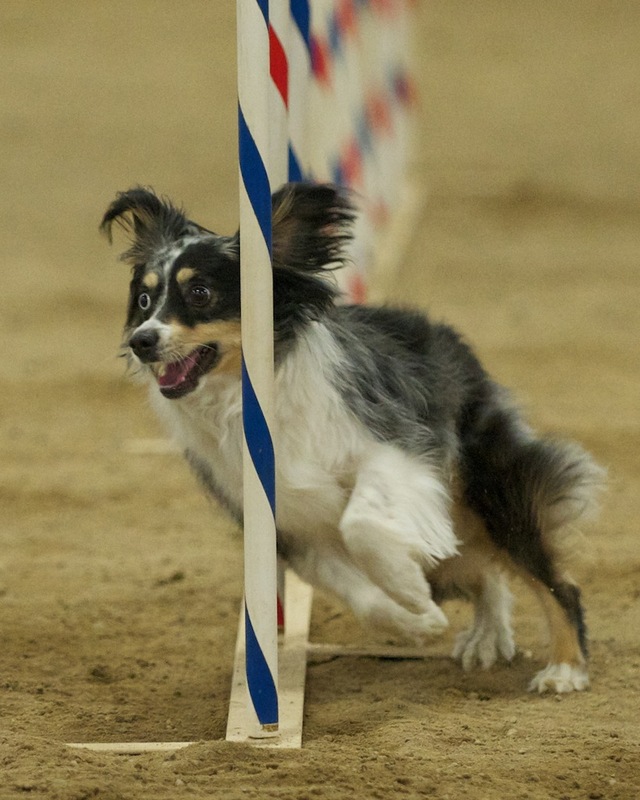 My goal is pretty simple: To grin at my bouncing maniac after the final jump, no matter if we smoked it or left a smoking yardsale of agility equipment in our wake (which isn’t out of the question). To find the good in each and every run, and reinforce those good things. This boy is bloody brilliant to me. To me. And that, my friends, is what really matters. If I can run the course the way I believe it can be handled, or can hardly wait to take Des out to the field to practice, can smile and clap and holler for my friends and their own brilliant pups, well THAT feels a heck of lot like we’re on the right track. We’re going to fail. A lot. The trick for me is to remember to learn from those failures without being afraid to fail again. And accept that sometimes, no matter how hard I try, I will still fail at protecting his joy…but with practice I can get better at that, too. Considering I’m having a birthday that ends in zero this year, maybe that’s a good reminder to reflect and remember that one day, I’ll be even more crotchety, sitting on my porch, my turbocharged motorized scooter nearby, hopefully with a pup at my feet and watching the neighborhood kids dare their friends to run up and touch my front door. And what will I remember of my success? Ribbons? Challenges? Or something else? I know with certainty that the memories from these years I will treasure above all will be of a crazy bark, a leap into my arms and the unapologetic joy that makes up the amazing little dude I get to call my teammate right now. That I loved, and was loved, unconditionally. That I forged a bond with another creature far beyond what many people ever know is possible. That’s what I’m going to be thinking about next time we step to the line. I have this time to do this sport, with this boy, in this moment. And when I put his leash back on, I’m going to be smothered in slobbery kisses. It’s apparent that I’m absolute crap at writing about my recovery from fusion surgery and Des’s debut in agility. I have a reason, but not a very good one. Each time I’ve sat down to write about the positive strides I’m making in my return to normality from getting four screws installed in my back, I worry I’m risking the wrath of the cosmic monsters and I’ll experience some epic joint setback. So…I’ve been quietly drinking gallons of milk, sweating and swearing my way through rehab exercises and getting out there to play with the DesMan as often as possible. As if I could resist this face?? 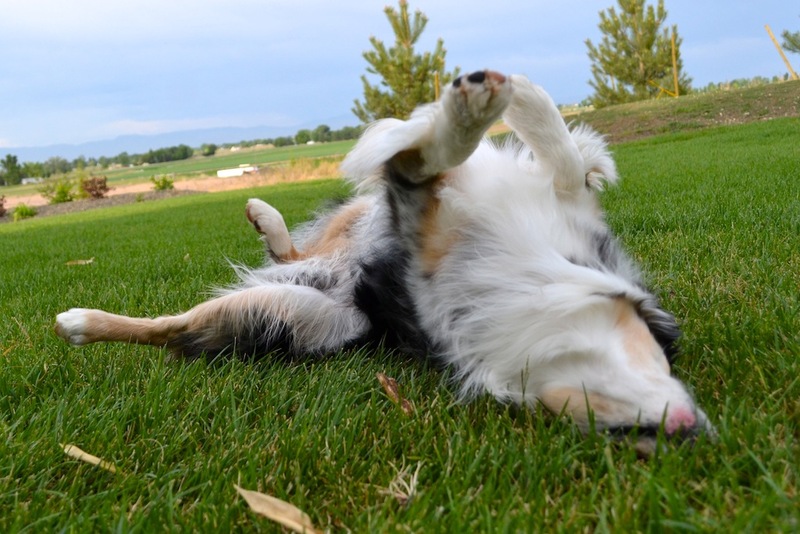 Desmond, South Jordan, UT, May 2013. Photo by Randy Gaines. When my husband was on the Helena Hotshots their crew motto was “Opera non Verba“, which loosely translates to “shut up and dig“. So, following that wisdom, since I can’t seem to find the words to explain how Des and I are doing, I will simply show you. 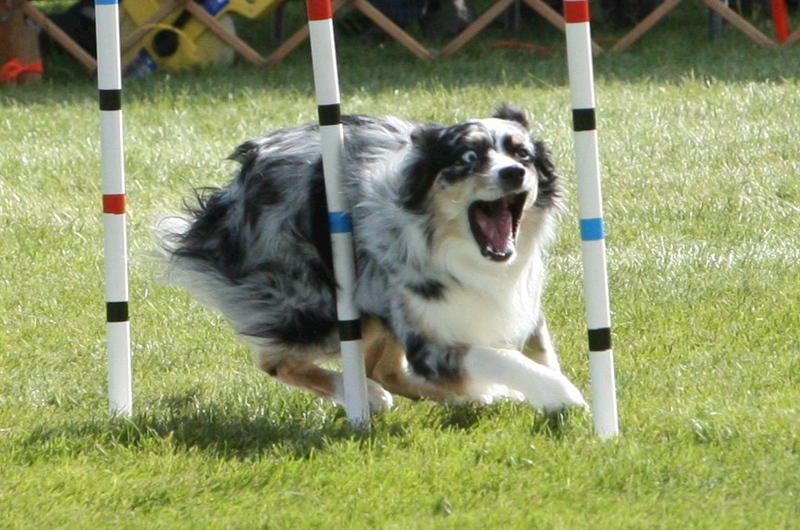 As you’re about to see…he and I are DIGGING this agility thing!! For those who can’t view the video with music, here’s the same video in a version that should work for you. I hope you enjoy!